"Pinterest is essential for driving traffic to my blog. It was also my downfall. You can imagine my excitement when Tasty Pins was created! I love, love this plug in. It has been one of the best investments I have made. It is so easy to use. 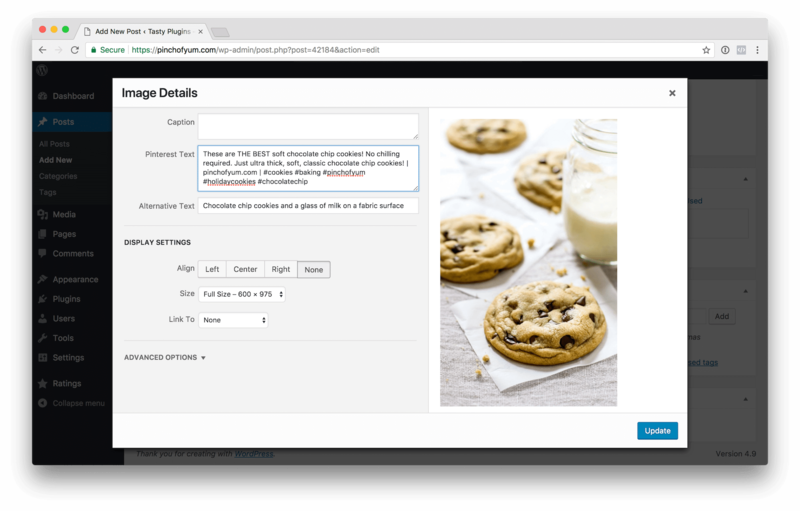 Once you upload a photo to your media file everything you need to create an awesome Pinnable image is right there. It is a great time saver!When you purchase this plugin, you will receive two tutorials. One focuses on writing great Pinterest descriptions and the other is on Alt Tags. (I needed help on both of those areas. )Don't waste any time. Purchase Tasty Pins today! Your blog will thank you! :)"